Rooms from $67.00 per night. 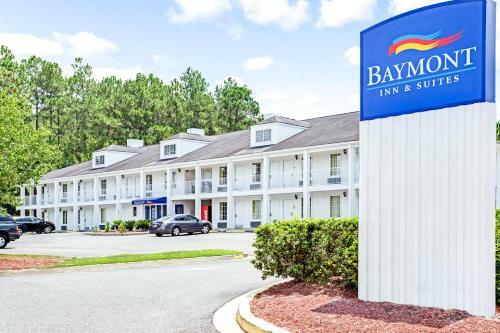 Free breakfast and complimentary Wi-Fi are welcome amenities for our guests at the Baymont Inn and Suites - Kingsland. This two-story hotel has 40 rooms accessed by exterior corridors. 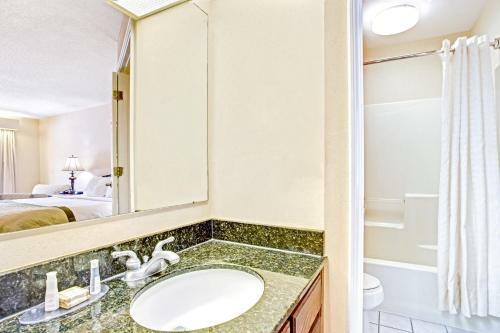 Accommodations feature pillowtop beds coffeemakers AM/FM clock radios and cable TV with premium channels. Wi-Fi and local calls are on the house. Non-smoking options are available. Some rooms also have mini-fridges and microwaves. In the morning guests are treated to a complimentary deluxe continental breakfast. The hotel also provides a 24-hour front desk business center and gym. Small pets are allowed for an additional fee. Parking is on the house. 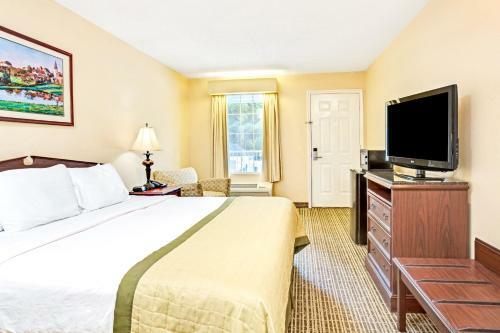 Located near the Georgia-Florida state line off I-95 the hotel is two miles from downtown Kingsland and a 15-minute drive from St. Marys Historic District. Golfers can head to Laurel Island Links or Osprey Cove Golf Club both five miles away. Orange Hall House Museum is a 17-minute drive and Kings Bay Naval Submarine Base is 20 minutes from the hotel. Crooked River State Park Cumberland Island National Seashore and Fernandina Beach are approximately a half-hour drive. 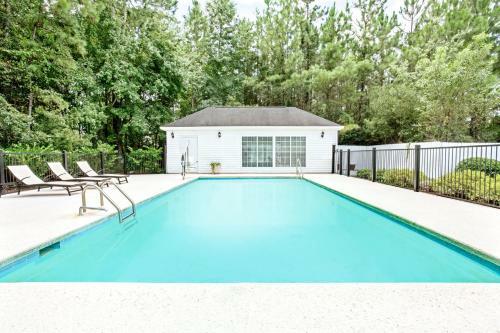 It's 25 miles to Jacksonville International Airport. 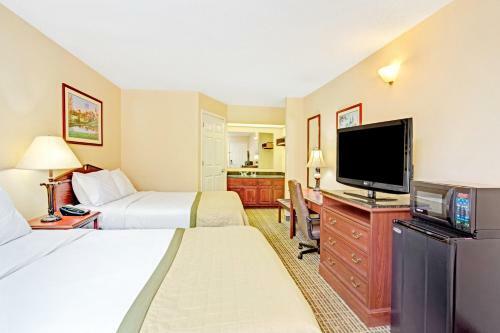 Add Baymont By Wyndham Kingsland to your free online travel itinerary.